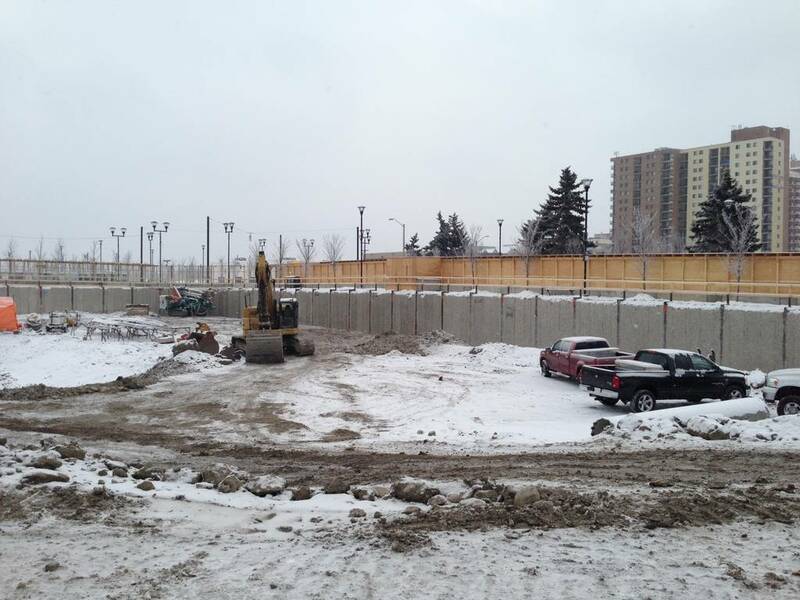 Following years of planning by the City of Calgary, construction on the anticipated East Village Development has started. The proud owners of the first land deal in EV in over a decade have committed to building about 700,000 sq. ft. of mixed-use residential property starting with The Fuse at Evolution. 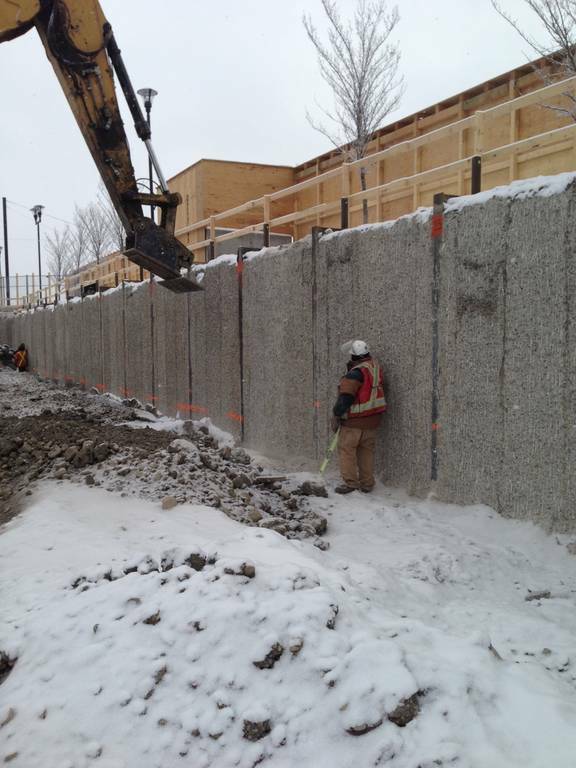 HCM Contractors Inc. proposed an alternative design-build excavation shoring system that resulted in significant schedule and cost savings. 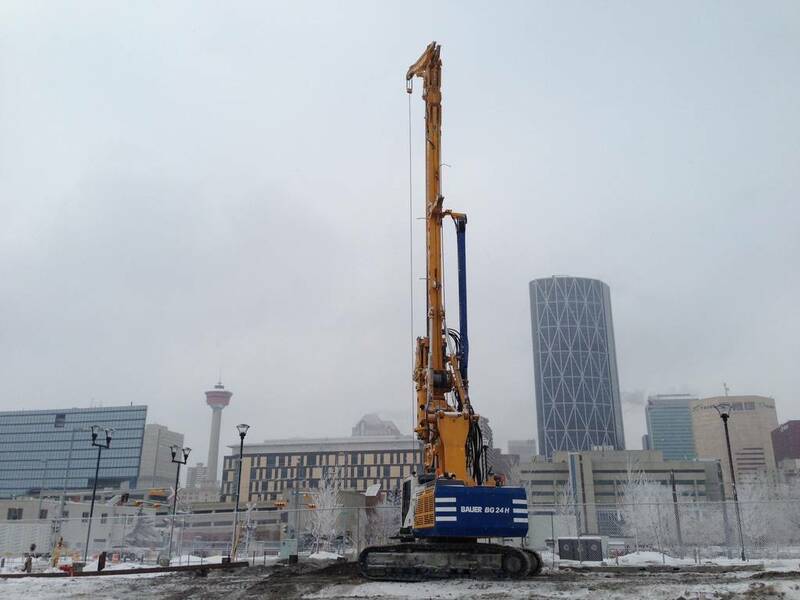 With its’ local geotechnical knowledge and utilizing its two new Bauer BG24 drill rigs and segmental casing system, HCM showcased its ability to design, execute and bring a quality product to its’ client, Embassy Development Ltd.
HCM has also secured contracts on the next two East Village developments that include the long anticipated National Music Centre and First Condominiums. HCM is proud to be a part of this landmark development which is considered to be a turning point in East Village history and a transformative moment for EV.